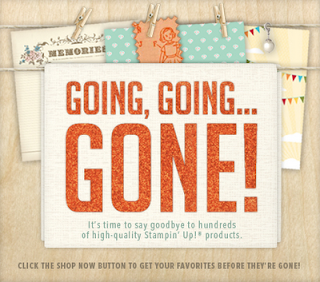 Today is the last day to buy any of the retiring items from the catalog. 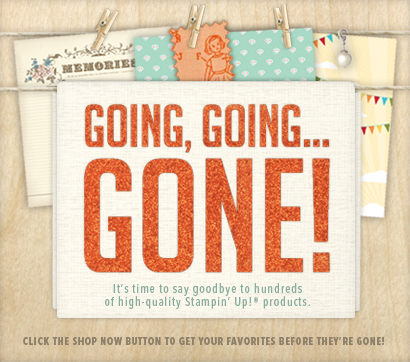 That includes tons of stamps, accessories and the decor elements. These items will not be available after today! 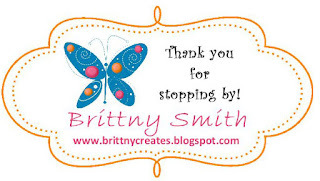 So place your order through my site http://brittnysmith.stampinup.net Remember to check the clearance rack as there are products there with a great discount. But the exciting news is that starting tomorrow, June 1st, I will be able to show you the new catalog and all of the wonderful new products! I am working on my very first video tutorial that will feature the catalog that I will hopefully have for you live tomorrow! I'm excited about trying this new part of my business for those out there that are unable to attend my classes and parties. We'll see how it goes.